At €5 a head for as many rounds as you care to jump, this Sunday’s training show at Lenamore is great value for anybody who feels like a few coloured poles. It’s a non-riding club event so bring your children, spouse and grandparents. 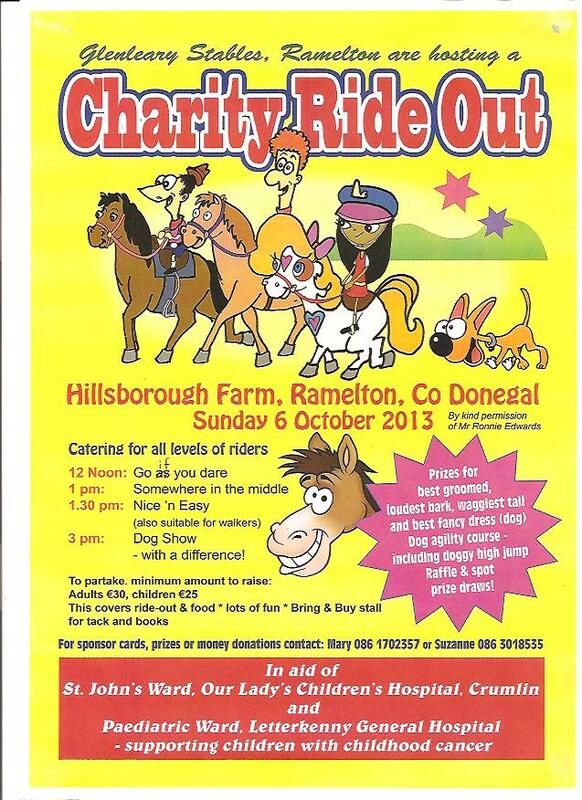 Contact Cormac for further details. Not for the first time we have Liz Potter to thank for some great photos of club members in action cross country. 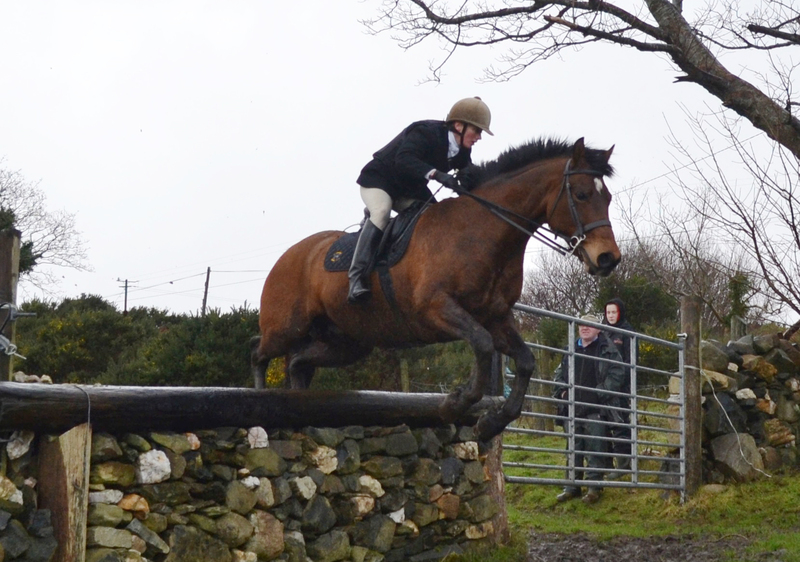 The Donegal Harriers Creeslough meet is a firm favourite on the hunting calendar and visitors are welcomed at the event. With Gaeltacht members Rosaleen Harkin and John McDaid amongst the key players in organising this fantastic day out, riding club participation was healthy. 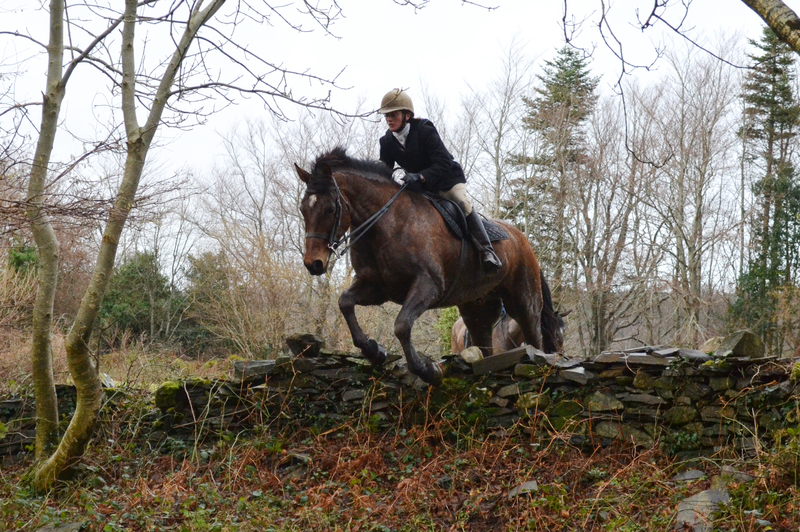 Regular hunt members Keary, Anne, Leo and Rachel were joined by visitors Marina and Libby for a wonderful day out over marvelous natural obstacles through stunning scenery. And the weather for once was vastly better than the atrocious forecast had predicted! Pictured below: Keary’s face says it all! We’re not the only club to kick back into action as January progresses. There’s quite a lot going on out there and it’s worth checking out what neighbours are up to in case anybody wants to join in the fun. 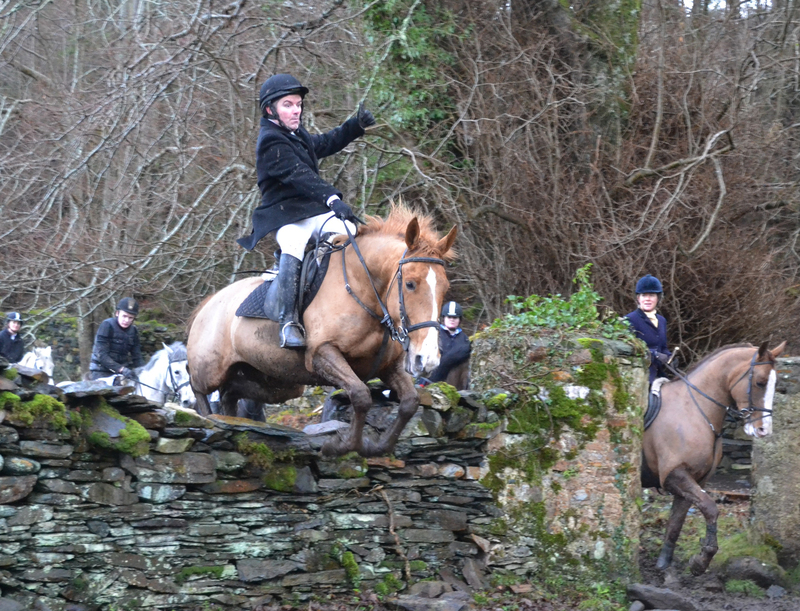 First out of the blocks was definitely Orla with Donegal Trec. Following a groundbreaking 2013 this very active organisation, an affiliate of Trec Ireland, has a hectic calendar of events lined up. 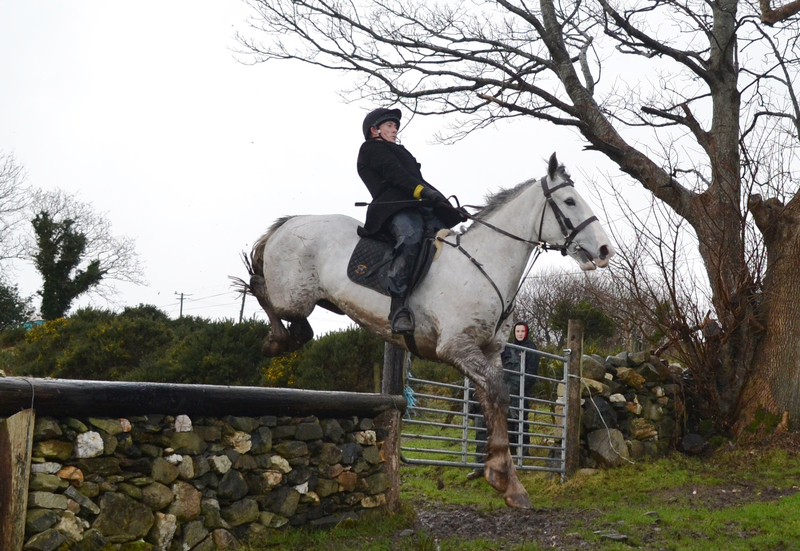 You can find all the details on the Donegal Trec website. 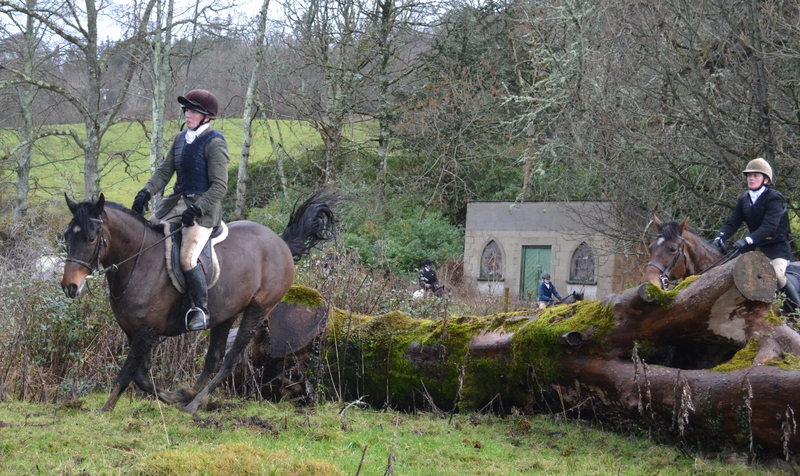 Several of our members are keen Working Hunter riders and their stomping ground tends to be in the North. All roads in this discipline lead to the Northern Ireland Festival in Cavan Equestrian Centre at the end of April. Check the list of qualifiers and find out more about the championship weekend on the Northern Ireland Festival website. Hunter trials and hunt chases are few and far between and again, the richest pickings are to be found in Northern Ireland. 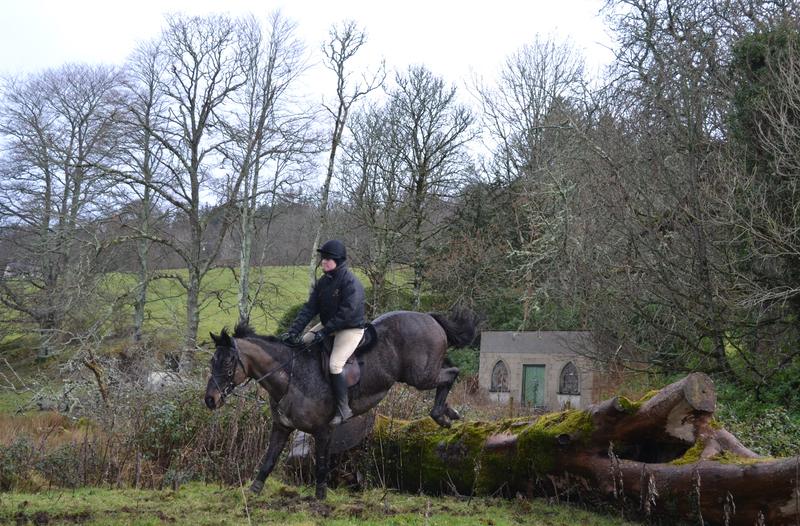 Marina has spotted a great looking Team Hunt Chase at Dirraw Farm (near Ballymoney) on Saturday 29 March. Although it comes very close to Flowerhill it would make a great schooling experience for anybody who’s looking for some miles on the clock. Marina is keen to get a team together (four people per team, all riding the course at once). Contact her if you’d like to join in. Meanwhile, with two hunts now in the county, there’s plenty of actual hunting going on this season also. The long-standing Donegal Harriers are a membership hunt but welcome visitors by arrangement. The newly-formed Donegal Tyrone Farmers Hunt meets on Saturdays and charges just a cap per day. And if there’s anything else going on, just holler! Comments Off on Fancy a parachute jump? While most of the recent competitive focus has been on show jumping, one of our non-jumping members has been ploughing her own furrow at the dressage league at Deanes. And with great success! 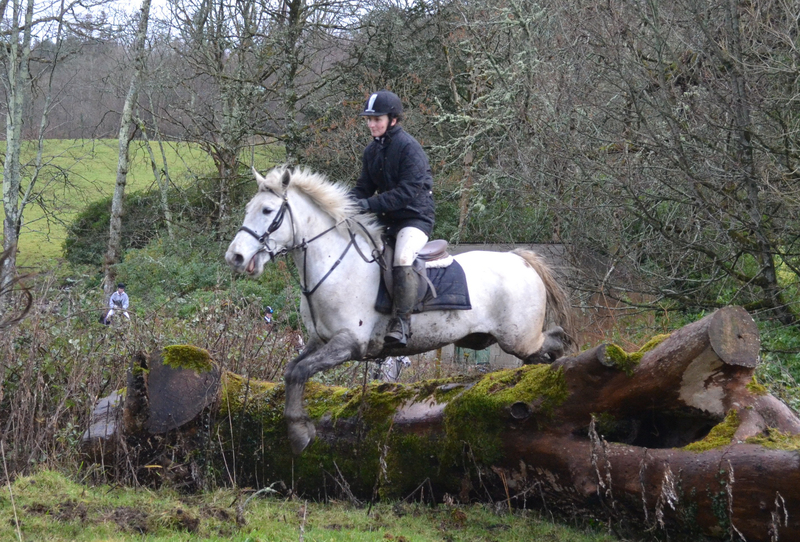 Congratulations, Vera, on winning your class at the weekend and finishing top of the league in your division. That’s a great achievement. Cormac, who contributes a huge amount of time and effort to St Vincent de Paul, is keen to field a team or two of riding club members at the Letterkenny Lions Club annual table quiz this Thursday, 21 November. The quiz takes place at the Golf Club and promises a wealth of excellent prizes on top of a great evening’s entertainment. Best of all, the event is in aid of two very deserving charities, St Vincent de Paul and the Loft Youth Project (in which our very own Orla plays a pivotal role). If you’d like to take your chances, contact Cormac as soon as possible on 087 251 4417. He’ll compose as many teams as interest generates. Anybody who hasn’t yet seen the photos of the recent fundraising ride-out from Hillsborough Farm will enjoy the collection posted on the Glenleary website. The shots were taken by Gillian and Annette and capture better than any words the beauty and spirit of the day. Well done everybody and thank you for a memorable afternoon. Several of our members benefitted from Kelda’s tuition at Templemore earlier in the year. She is now restarting her Tuesday night fixture and you should contact her on 086 834 9406, if you’re interested in joining in. This is not a riding club session so is open to all ages.